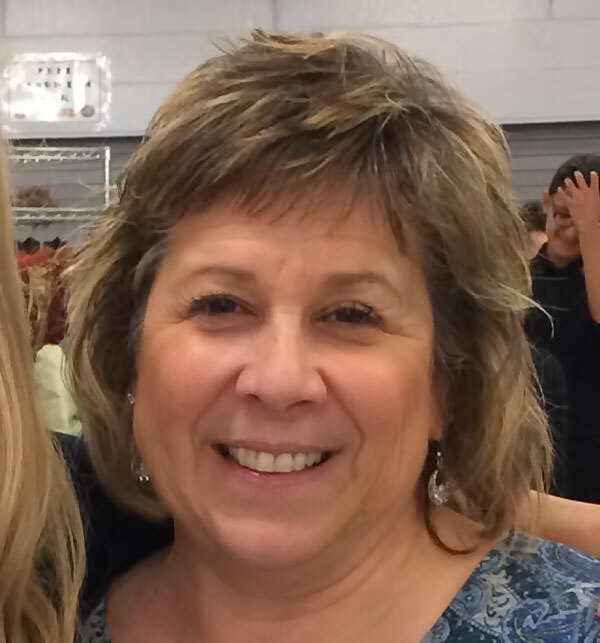 Gayle Giguere (GG) is the director of Drama at WSHS serving over twenty years. She is also a 9-12th grade English teacher and currently serves as the English Department chair. Ms. Giguere also teaches an Introduction to Drama class and a Creative Writing class. She is the coach for the newly formed WSHS Speech Team and is the Kennebec Valley Ski Club advisor. Ms.
Giguere is a graduate of UMF – English and Theater. She also has a Masters in Literacy. Ms. Giguere resides in Waterville. She is the mother of four grown children and grandmother to six. She is an avid mountain biker and downhill skier and, of course, theater enthusiast. Dustin working on the Grease set. Dustin Shepherd is an alumnus of WSHS and also WSHS Drama. (In fact, Ms. Giguere was his drama director) Dustin is currently residing in the Waterville area and working for a construction company. 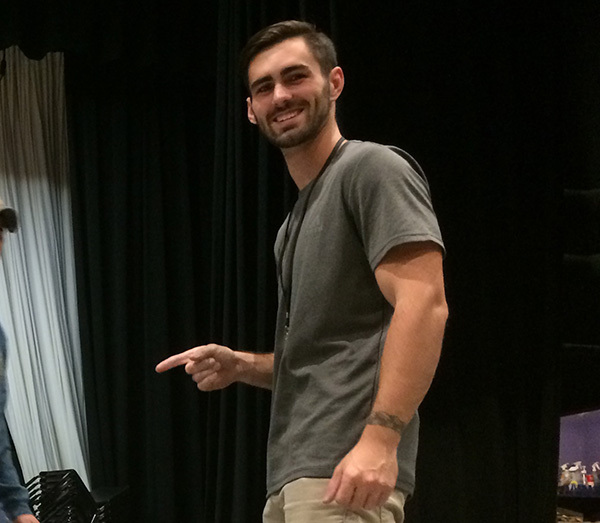 As technical director, Dustin brings together his passion for theater and his building know how to the drama program. He is in his second season as TD and has had enough fun that he recently signed on for another year!! We are thrilled he will stay with us because he builds the most beautiful sets and the students love his youthful leadership. Paula Pooler, Producer and Thespian Society and so much more. Paula Pooler is WSHS Drama’s Producer. She manages all business, box office, banquets, advertisements for drama and also the Thespian Society. She has worked alongside Ms. Giguere for over twenty years. Paula is lovingly called “the money” by Ms. Giguere. Paula is also Finance Director of Waterville Public Schools. Cassie ironing costumes for Grease. Cassie Julia-Ferris is new to our production staff this year (2018-19). Cassie came to us with a degree in Design and a love for theater. 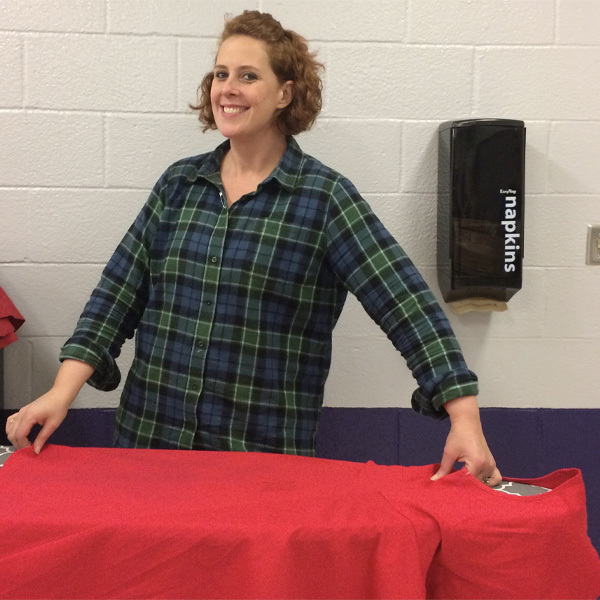 She did a great job costuming the musical Grease and worked so effectively with the 50 students she had to costume that each student felt she had hand-picked the color and style of their costume to best flatter them on stage. No wonder they all love her! Mid-winter she costumed our one-act competition play Blithe Spirit with the help of Cynthia Cloutier. And lastly, she costumed the wacky spring play Sideways Stories from Wayside School. We love having Cassie on our team not only for the beautiful costumes but also because she makes work fun for both students and staff. Sue Barre is WSHS Drama’s Music Director. She is both the pit orchestra director and the choral director for our fall musical. 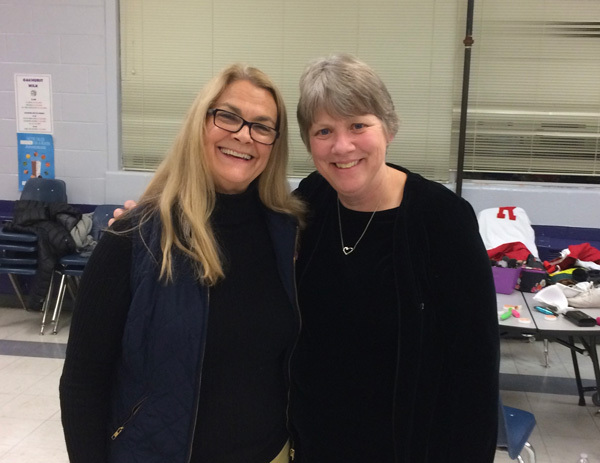 Sue has been working with Ms. Giguere for many years and they have a collaborative relationship that makes for a fun musical experience. Beyond this, Mrs. Barre is also the Band Director in Waterville Maine, teaching graders 5-12. Mrs.Barre directs the concert, pep and jazz bands and serves as department head for the music department in Waterville grades K-12. Mrs. Barre received her Bachelor of Music Education and Horn Performance from UMass in 1989 and her Masters in Educational Leadership from the University of Southern Maine in 1995. Mrs. Barre was named Maine Music Educator of the year in 1996. 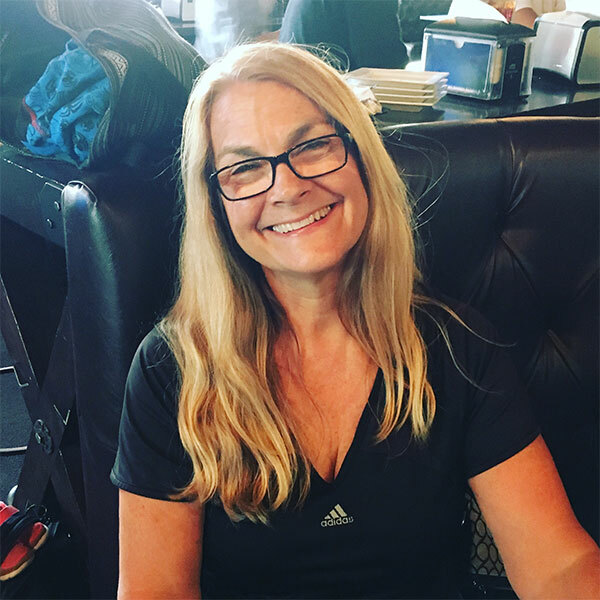 Mrs. Barre currently the is active in the Maine Arts Assessment Initiative, a grass routes effort working to develop and share standards-based arts assessment in Maine, and she is currently the President of the Maine Music Educators Association. Mrs. Barre resides in Waterville with her husband Greg and nineteen-year-old son Adam and sixteen-year-old twins David and Sarah. 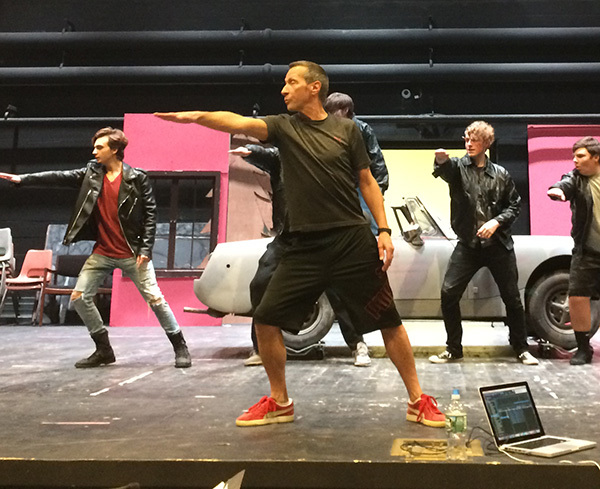 Mr. Scott rehearsing “Grease Lightning”. Scott Stevens is the choreographer for the fall musical. He has been the choreographer for WSHS Drama for nearly twenty years. Mr. Scott and Ms. Giguere have been friends since the ’80s and have enjoyed working together each fall on the musical. Scott is also owner-operator of Studio One For Dancers located in Oakland, Maine. He is a beloved local dance instructor who has been in his successful business for over 25-30 years.